Stealing land is, apparently, seen as good business practice by the wind industry; wherever it goes, Africa no exception. In Africa it’s able to profit from long-held animosity between tribes and racial groups, exploiting old rivalries in its quest to wrest control over the land its needs to spear these things all over African soil. However, the wind industry’s treatment of indigenous people isn’t really discriminatory: they treat everybody that stands in their way with the same high-handed contempt. Riding roughshod over rural communities wherever it goes, the wind industry has become the natural enemy of farmers the world over. 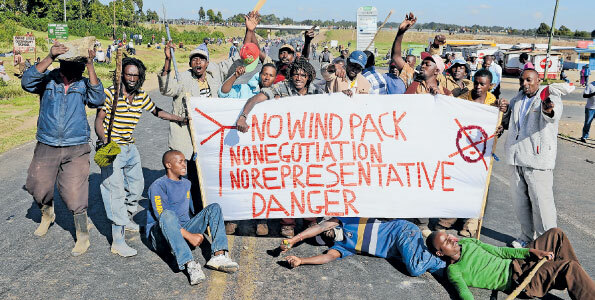 But, in Kenya at least they’re determined not to lose their only asset to the great wind power fraud.